The south coast of Mozambique is exceptionally beautiful - truly the archetype of palm-lined tropical beach nirvana - as well as boasting snorkelling, diving and game fishing to rank with the very best in the world' enthuses author Philip Briggs. 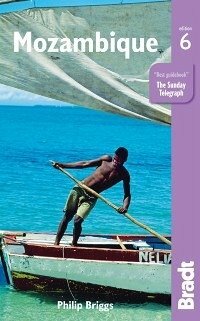 This sixth edition of Mozambique leads intrepid travellers from the undiscovered north eastern provinces to the coral island of Ilha de Mocambique, with its imposing fortress. Relax on a dhow, experience a sailing safari, admire Portuguese colonial Beira or follow suggested walks around the capital Maputo. With in-depth coverage of wildlife, culture and history, and practical advice on accommodation for all budgets, the Bradt guide leads the way.